The Money Advice Consultant (MAC) has a key role to perform in supporting the quality of advice offered to money advisers by Money Advice Scotland, as part of the Money Advice Training Resources Information and Consultancy Services, (MATRICS) project – a joint project with Citizens Advice Scotland (CAS). The consultant’s post also includes input to specialist training courses (including e-learning), and development of second tier services. In addition, the MAC will provide services for Money Advice Scotland, in respect of its training and qualification programme. Money advice consultancy involves providing detailed and tactical advice to money advisers, researching and interpreting case law and other legal materials. 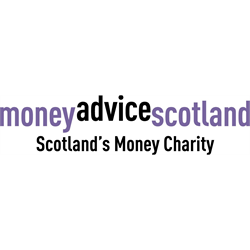 The Money Advice Consultant will liaise with colleagues based in Citizens Advice Scotland to ensure a comprehensive and consistent service to all agencies delivering free, confidential, independent money advice in Scotland. As part of our strategy for 2018-23, we are committed to developing a new series of training courses which are underpinned and influenced by consultation with our members. The Learning and Development Consultant will be at the heart of this activity and will help ensure that our members can offer the best possible advice to people in debt and financial difficulty. Our new strategy also sets out our ambition to develop resources for the creditor and financial services sector. The successful applicant will be a proven self-starter with a track-record for delivering measurable project outcomes. The successful applicant will be digitally proficient, and equally at ease in developing face to face training courses as designing online learning materials. Above all else, the successful applicant will be driven by a clear passion to improve the financial wellbeing for the people of Scotland.